In his crisp, characteristic style, the author launches a broadside against identity politics, which seek to erode the idea of Bharat and suppress the voice of its majority. He also rips apart the facade of half-truths and dissembling, legitimized as ‘political correctness,’ in staunch defence of the Indian Army and national sentiments. At the same time, the book looks at what India can accomplish, when left to its genius and cultural heritage, despite a thousand daunting odds. “Scary Portents should be of great value to the professional security analyst and the lay public alike. 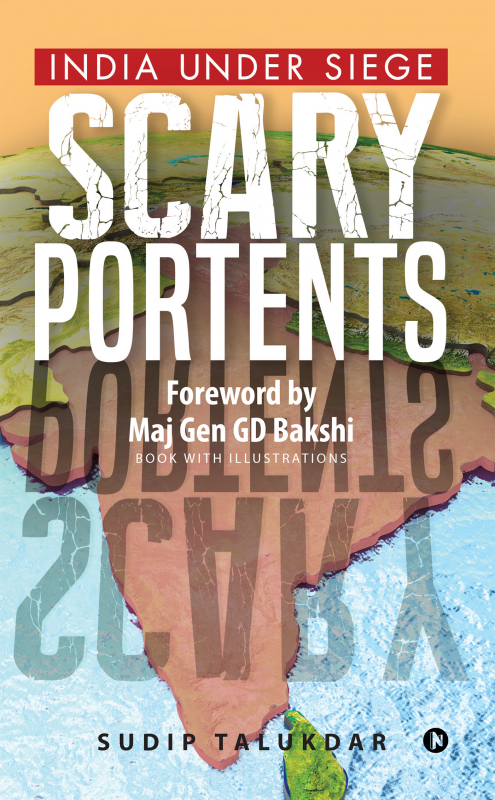 It represents the author’s years of fruitful work as a fearless journalist and commentator, who highlights the bitter truth,” writes Maj Gen GD Bakshi. The author has written quite extensively on social issues as a mainstream journalist, doing his bit for the underdog. His literary genes went into overdrive when he first stepped into his teens. What began as self-inflicted exercises were no more than fledgling attempts to crystallize ideas and experiences into words, not very successfully though. He wrote and rewrote for clarity and precision, until he could exercise some control over the elusive medium, and this was a rather painstaking process. The author holds a Diploma in Social Journalism from the New Delhi based Times Research Foundation’s School of Social Journalism. He has garnered a wealth of experience over 27 years of being with the mainstream print media, including 21 spent with The Times of India, doing leader articles and Q&As for the Edit Page and writing odd pieces for The Illustrated Weekly. He also served the Indo-Asian News Service as a Senior Editor.